Successful people understand that in a complex world you must surround yourself with experts in various fields. This team of strategic partners includes CPA’s, Estate Planning Attorneys, Mortgage Advisors, Investment Managers, Insurance Experts, Estate Services, Pension Consultants, and an Independent Automobile Broker. Please contact our office for a referral to any of our trusted and “hand picked” independent advisors in The Solution Network. The individuals listed in The Solution Network are not affiliated with LPL Financial. G. Lee Runnion, CPA, is a graduate of Metropolitan State College. Lee brings a quarter of a century of professional accounting services to The Solution Network. In addition to her Bachelor of Science degree in Accounting, she did post graduate work in Finance at The University of Colorado / Denver. Lee became certified as a Public Accountant in 1983. She works with small businesses and individuals in the areas of accounting, tax planning and compliance. Chair: Estate Planning Group, Business Transactions GroupAreas of Expertise: Tax / Business Transactions / Estate PlanningExpertise in the areas of estate planning and administration, exit and succession planning, entity formation and business growth, and business sales and acquisitions. 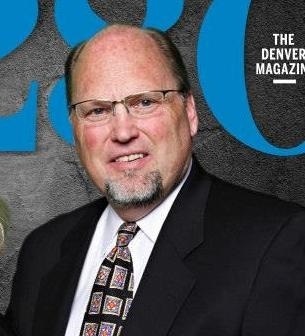 About Brett Schneider – Brett is the owner of Premiere Diversified Insurance and a native of Colorado growing up in the suburb of Lakewood. Brett is married to his wife Heidi for over twenty years. They reside in Littleton where they raise their three children. Brett attended College at UNC and then finished his degree at Metropolitan State. After spending 20-years working for several Fortune 500 companies, Brett launched Premiere Diversified in 2011. When not running his business, Brett enjoys spending time at Bandimere Speedway racing cars, going to car shows and hiking in the mountains. Brett is also involved with the Colorado Epilepsy Foundation donating his time and assisting with fund raising activities. About Premiere Diversified Insurance – Premiere is an Independent Insurance Agency owned by Brett Schneider. Being independent allows me to shop rates, coverages and pricing from several companies. The benefit to you, is numerous choices from top rated companies at a fair price. We offer insurance offerings for all personal lines, as well as coverage for businesses. We are a member of SIAA, the largest national alliance of independent insurance agencies. Our affiliation with SIAA ensures we aren't tied to one insurance companies offerings or pricing. All companies we offer carry an A rating or better from AM Best. Jason Maples began his career in 1992 based on his desire to help executives and entrepreneurs experience financial freedom. His analytical and creative approach to the executive benefits market place is recognized and respected throughout the region. Jason majored in economics at Grinnell College and continued his studies with the American College, completing his Chartered Life Underwriter (CLU) designation and his Chartered Financial Consultant (ChFC) designation. He is also a Certified Financial Planner (CFP) through the College of Financial Planning. Jason and his wife, Jodi, have two children. They enjoy traveling, skiing, golf and being spectators at all of their kids’ events. I have been a Mortgage Loan Officer in Colorado for over 11 years. My mission is simple: to serve the needs of clients through careful consideration of their specific short and long term goals and objectives. I will listen to you so that I can guide you through the entire mortgage process. Through communication and comprehensive analysis, my goal is to earn the respect and privilege of being your Mortgage Loan Officer for life. My valued relationships with a network of Financial and Real Estate Professionals will allow me to serve you in areas far beyond your Mortgage Loan. The reward of repeat clients and referral business is an indication of a job well done. Tony Grandt brings over 12 years origination and 14 years of experience in the mortgage industry. Tony specializes in self-employed individuals, as his accounting minor allows him the experience to piece together the challenges that today’s self-employed borrowers face when trying to obtain financing. Tony’s analytical mind and can-do attitude as well as his vast industry knowledge allows him to provide excellent customer service to his clients. Clients of The Wealth Strategies Group are both busy people and people who would rather invest their life in what they enjoy. Finding the best automobile at the best price is not usually in that “enjoy most” description. As an independent business owner, Randy brings an unbiased approach to The Solution Network. This approach allows our clients to take an objective look at any make, model, new or used automobile knowing they will save both time and money.